News > 2016 > Two female students shine in finance! Two female students shine in finance! 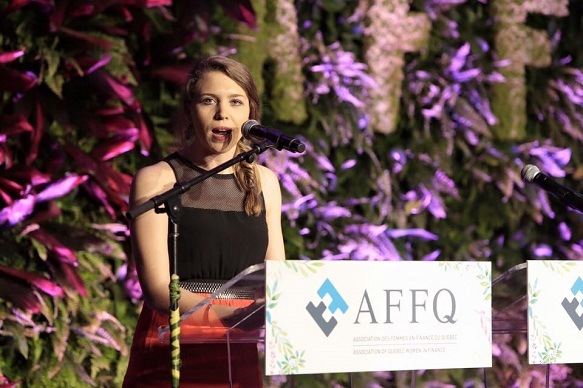 In a field that tends to be dominated by men, two female HEC Montréal students turned in outstanding performances in finance, at the 11th Gala des Talentueuses of the Association of Quebec Women in Finance (AFFQ). Nolwenn Camps-Leysour de Rohello (BBA) and Zhu Yan Fang (MSc) took two of the three Relève awards presented at the event, on April 21. In fact, HEC Montréal students have done very well at this gala in the past five years. 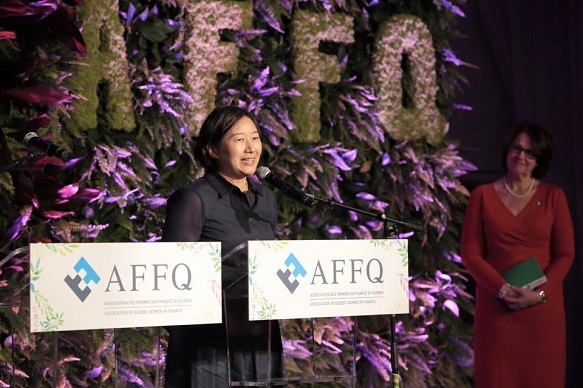 In addition to a scholarship, each of the winners will be offered an internship with a financial institution: the Royal Bank of Canada, for Nolwenn Camps-Leysour de Rohello, and the Mouvement Desjardins, for Zhu Yan Fang.